WWE will air part of last night’s Starrcade show from Cincinnati tonight. For the second year in a row, WWE has used the Starrcade name for a house show held the weekend the event used to be held annually by the NWA and then later by WCW. 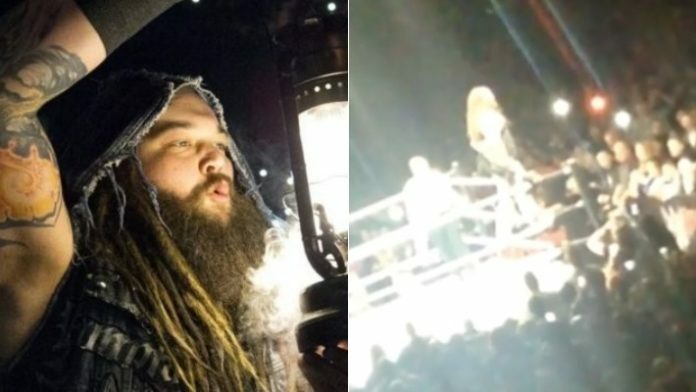 Bray Wyatt returned to WWE last night on the show. He answered an open challenge by current Raw temporary GM, Baron Corbin. The last time Bray Wyatt was shown on WWE programming was back in August. He continued to wrestle tag matches with Matt Hardy up until September. After discovering his lower back and pelvis had begun to fuse together due to a career’s worth of injuries, Matt Hardy moved into a backstage role with WWE and Wyatt was left in limbo.